Mothers-in-law are often the subject of derogatory humor. They are frequently characterized as interfering, overbearing, meddling members of the family tree. My mother-in-law, Mary Boas, who died Feb. 17, was not like that at all. If anything, she epitomized the opposite of those traits. Born March 10, 1917, in Prosser, Wash., as the only child of older parents, Mary spent most of her childhood on her parents' chicken farm in Monroe, Wash., where, among other skills, she learned how to slaughter, pluck and cook chickens. Some of my favorite memories revolve around my mother-in-law's cooking. Her fried chicken, homemade fudge and beach plum jelly were some of the tasty treats she prepared for special occasions. Mary's idyllic youth — living on a beautiful, rural property where she was the much-loved, pampered daughter of two devoted parents — gave her a sense of independence and a strong belief in her ability to achieve whatever goals she set. Although she grew up on a farm, Mary was raised in a family that emphasized education. Her mother, Anne Goff, was a teacher in a one-room schoolhouse, the same school that Mary attended throughout her youth. Although she had no siblings, she was close to her older cousin, Rachel, who went to college when the thought of higher education didn't even enter most women's minds. Mary knew at an early age that she wanted to pursue an academic career. And she did. 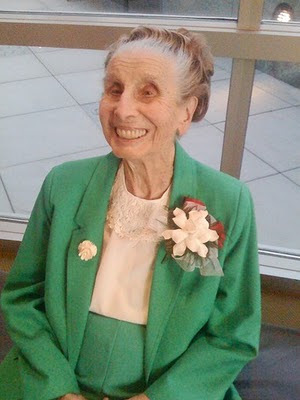 In 1940, she graduated from the University of Washington after earning bachelor's and master's degrees in mathematics. To further her education and teach, Mary left her beloved Washington and moved to North Carolina to attend Duke University. Although leaving her family probably made the move difficult, it was at Duke that she met her future husband, Ralph Philip Boas Jr., a mathematics instructor. Mary and Ralph were married on Cape Cod in 1941, and Mary spent the early years of her marriage working toward her Ph.D. in physics at Massachusetts Institute of Technology. She earned that degree in 1948, the same year that my husband, the first of her three children, was born. My husband and his siblings grew up in Evanston, Ill., with two parents whose lives were immersed in academia. For three decades, Mary taught physics at DePaul University in Chicago while her husband taught math at Northwestern. Mary was the author of the textbook Mathematical Methods in the Physical Sciences. The third edition of her book, which she revised at age 88, is still used in college classrooms today. I met my husband's parents in 1970, about a week after I met their son. Ralph – my Ralph – and I drove from Boston to Evanston to spend Christmas with his family. Before venturing west, we stopped first at the home of my parents in Pennsylvania, where their reaction to our plans was anything but cordial. My mother and father took an immediate dislike to the man who was to become my husband and, after experiencing their reaction, I was afraid of how Ralph's parents would receive us. I needn't have worried. Ralph's parents were loving, kind and non-judgmental — traits, I was to learn, that remained constant throughout their lifetimes. It is never easy when someone you love dies, and it is always difficult to lose a parent. I'm glad knowing that my mother-in-law, Mary Boas, lived a long and full life. I'm proud of her accomplishments, appreciative for the unconditional love she bestowed on her family and grateful for the many years we all had together. Two years ago, my then 25-year-old son, Timothy, agreed to leave Florida and move in with his grandmother to be her companion and caretaker. Together they attended garden club meetings, went to concerts, fixed meals and, in general, enjoyed each other's company. I'm so glad the two of them were able to spend that precious time together, and I'm glad, too, that Mary remained in her own home — as she so fervently wished to do — until she died. People can make all the jokes they want about meddling mothers-in-law. My mother-in-law was the exception. Even more than that, she was exceptional in so many ways. As a physics student 25 years ago, I remember Mary's book leading me upward to the higher math involved in just the right-sized steps, clarifying concepts I was struggling with and giving me the sense I wasn't as dim-minded as I feared. I guess I was always vaguely curious about the woman who accomplished this and it finally occurred to me to search her on the web. What a great person and a great life you portray. Thank you for sharing this story.